File this under it is never too early! I love a Christmas Tree. I love a big Xmas tree. I love looking at decorations that I have been collecting for years. BUT, and this is a huge BUT, I hate putting on the lights. I hate climbing a ladder to put on those lights. I hate having to to bury all those light strings so you don’t see them. For years, I spent many, many hours swearing at string after string of lights that didn’t work from one year to the next. 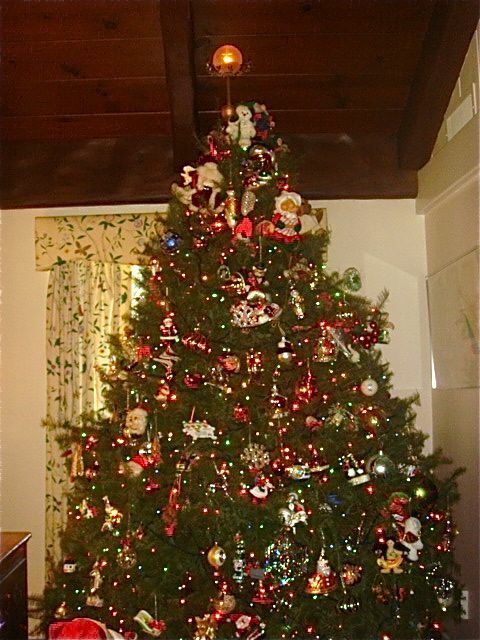 For years, I sweated and ached from hours and often days of going up and down that horrible ladder to put the lights on the tree. Then a couple of years ago, I discovered The Christmas Light Guys. They are THE answer to all my years of aches and pains. As most of you know, I rarely, if ever, recommend a company, but these guys are the best. They buy the tree to your specification. They install the lights and bury the strings. They supply the stand, the lights (they all work – no last minute shopping for lights) and even the Xmas Tree skirt. Plus, after Christmas, they remove the tree. They even clean up every single bit of mess. The only responsibility you have is to lovingly remember each decoration you bought and carefully put it on your tree and then just put the decorations away until next year. They are so nice that they even put my decorations on the top limbs of the tree so I don’t have to climb the ladder at all. They are clean, efficient, honest, trustworthy and one of my all-time best finds. My gift to you for a great holiday season – book early so you won’t be disappointed. Even though their address is Tarzana, the Christmas Light Guys will come to you, wherever you are in the Los Angeles Area. Just call. Tree up without days and days of work – just enjoyment.